Be the hippest hipster on the Chinatown bus. 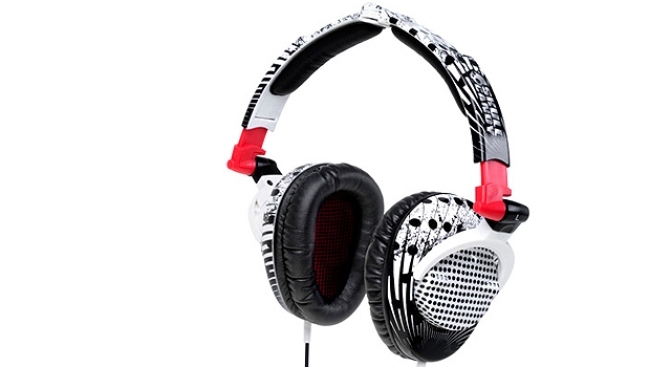 LISTEN UP: Yeah, the name is intimidating if you really think about it, but Skullcandy headphones are gaining fans at an astronomical rate. With stellar sounds and designs that go far beyond basic white rubber, the Skullcrusher headphones have oval-shaped ear pads that are comfy for long listens. Plus, they're collapsible, so you can stuff 'em in your gym bag or briefcase without a putting up a struggle. TIPTOE IN THE TULIPS: Score! This Marc by Marc Jacobscotton tulip skirt is 60 percent off right now ($87.20; was $218). The pale gray tonal-striped skirt has a curved hem and contrast brown stitch detailing. We think we're in love. GRUNGE, EXPUNGED: Sometimes it just feels like 1992 all over again. No, we're not talking about adolescent gawkiness -- we're obviously focusing on plaid shirts. The Salt Valley Fun Plaid Western Shirt from Urban Outfitters (737 7th St. N.W. ; 3111 M St. N.W.) has a few things those grunge shirts didn't: moonstone buttons, a skinny fit and a $48 price tag. Which makes it fun to wear while you're not at your corporate job, which you also didn't have in 1992.